12:21 is a reversed mirror hour. If you have seen this exact time displayed on your watch regularly over the past several days then you must definitely not make the mistake of ignoring it. This is a rather special hour and has its own special significance. It is a way for the guardian angels to send you a message. Mirror hours and reversed mirrors hours hold messages for every individual who comes across them. 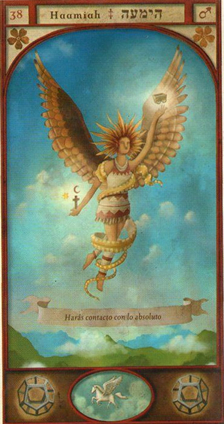 As for the reversed hour 12:21, this indicates that your guardian angel is there to help you assert yourself. The hour signifies that a person is talking about you in a negative light. You should avoid the people who have a bad opinion of you and make better choices in who your friends are. To do this, follow your instincts and learn to assert yourself. You should also be careful as there is going to be a betrayal in the near future. On the positive side, this message invites you to have faith in love, in your home, and in your family, but most of all to have faith in yourself. It is also here to free you of all your fears. To reach your goals you need to actualize yourself and dare to step out of your comfort zone. Keep in mind that 12:21 is the hour of harmony, idealism, self-expression, optimism, and family. Haamiah is the guardian angel of the voice and the ultimate truth. When connected with the reversed mirror hour 12:21 he is helping you to gain a natural understanding of all religious rituals and is calling upon you to find and help spread the real truth. This will lead you without a doubt towards the greatest realizations of humanity. Since the angel Haamiah is the angel of rituals, he will help you to enjoy life and look after your peers. He is able to instill within you the rituals of everyday life. At the same time, his benevolence will allow you to understand the science of good behavior and conduct. With him it will be easy for you to learn manners, courtesy, and friendliness. The angel Haamiah also takes a role in your relationship, giving you an incredible experience all while allowing you to experiment with a divine sexuality and a sacred form of consciousness. He will also separate you from any kind of internal or external violence. If you are currently in the thralls of black magic and someone is using rituals or powers of the occult against you, Haamiah will be your protector and separate you from all of this. He will deliver you from all that is bad and free those evil spirits. He will also affect the circulation of positive energy throughout your body. What’s more, don’t forget that the guardian angel Haamiah, patron and protector, encourages generosity and actions which come straight from the heart. He is signaling that he will help you to finish an activity or a difficult task during those moments when you are scared of the dangers of doing so. He is there to guide you in your quest for absolute truth and he will protect all those who seek it. What does 12:21 mean in Numerology? 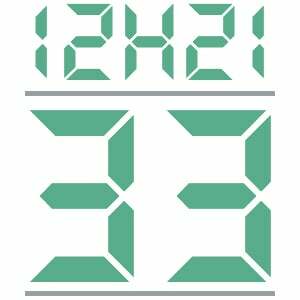 When linked to the reversed mirror hour 12:21 the numerology behind the number 33 has very powerful energies. It gives you the courage to live your life with optimism and enthusiasm. No matter what you do, you are blessed, loved, and supported. This number allows you to live your life with joy and passion all while keeping your goals in view. The number 33 is a message from your guardian angel that no matter what changes you are about to make or what projects you are about to take on, you will always have help in completing your tasks. What’s more, you should get ready to increase your awareness and improve your spiritual development. Any changes on the way will be met with success, all thanks to the valued support of your guardian angel. The angel number 33 gives you good skills of communication which will greatly simplify your relationships with others. By making use of such abilities, you will have the capacity to convince and captivate other people. These benefits will allow you to shine in the fields of politics, teaching, law, literature, and more. This number also demonstrates that anything is possible, whether it be the start of a business or a major change in your life. The repetition of this number indicates that any reasons for this change or for the goals you have set yourself are of a very high order and your intentions are good, because of this your desires will come forth and materialize in front of you. Last but not least, the numerology behind the number 33 expresses altruism and a special attention which is given to the needs of your peers. You are inclined to help others and may even sacrifice yourself for your fellow man or for the people that you love. You may be attracted to a career in medicine or consulting work. On the other hand, you should also be aware of the negative aspects of this number as it can also lead to unbalance, emotional problems, pretense, pride, and other negative outcomes. 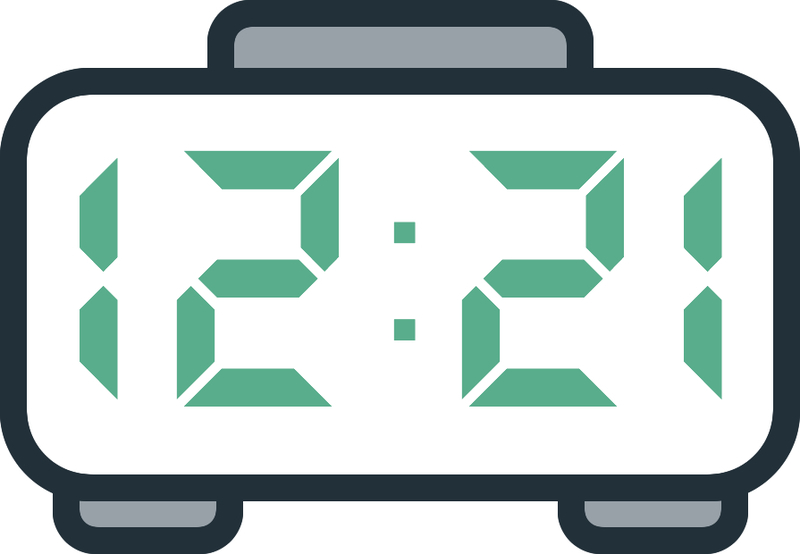 Any comment on the 12:21 mirror hour?